When Annmarie, a 42-year-old mother of four, was diagnosed with a Stage IIb tumour she was determined she would not lose her love of life.Having watched her father succumb to bowel cancer a year earlier, she had no desire to follow the same treatment regime. So she went in search of something different.Refusing to be a ‘victim’, she rejected the purely medical route and met her cervical cancer head on. 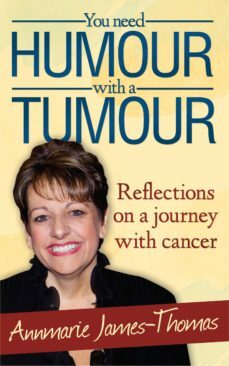 Her journey took her to America in search of another way to combat the tumour growing slowly – then not so slowly – within her.This is Annmarie’s story of hope and disappointment, strength and courage as she and her family deal with her diagnosis and desire to live life to the full.